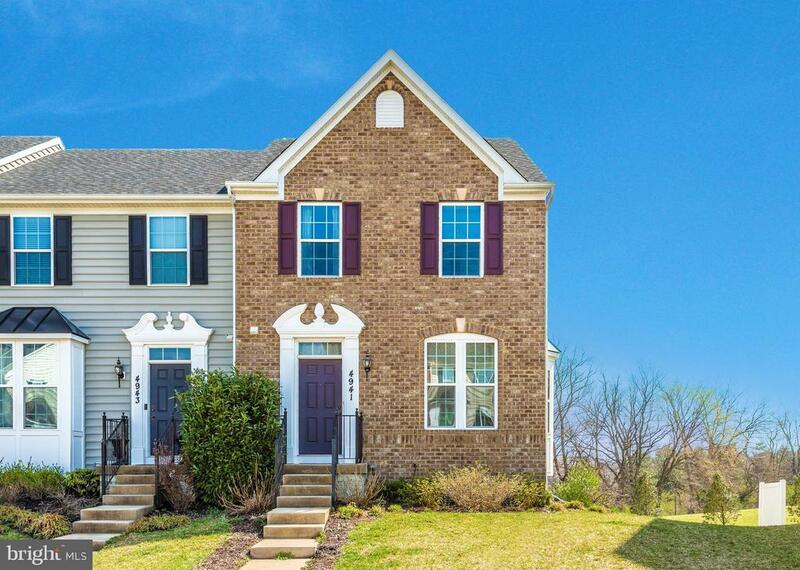 No detail overlooked in this bright and spacious end unit townhome in Linton at Ballenger! Gleaming hardwoods and open concept main level, your living room opens to a gourmet kitchen with generous island. Granite countertops and beautiful ceramic backsplash with plenty of room for your oversized kitchen table in the attached dining space - recessed lighting, and coffee bar with plenty of storage. Master with trey ceiling and upgraded bath with granite double vanity and soaking tub. Upper level laundry and two additional bedrooms share a hall bath. Full walkout level basement with office and bath including large light-filled rec room with gas fireplace. Spacious trex deck with room for plenty of furniture and a beautiful view. Easy access to many community amenities including clubhouse with pool, and perfect location for commuting. This beautiful home has every upgrade, and has been meticulously maintained- dont miss out on the opportunity to show!